At OCCO, we have the diligence and the expertise to provide your business with business and marketing strategies that hover outside of conventional and traditional tactics to more creatively interact with your customer base. From both aspect of marketing, digital and offline, we ensure your organization will become highly visible throughout all social media networks without overwhelming your short and long term business objectives. Did you know that the average internet user is buried under 5,000 different ads each day? So, what does this mean? Well, it simply means in order to reach your target audience you have to build a digital marketing strategy that falls outside of mundane, repetitive and traditional strategies. You don’t want your organization’s ad campaigns to be like those 5,000, do you now. It is important that the demographics of your target audience is thoroughly and precisely analyzed, narrowed down to particular personalities to extract more information about where most of the users interact with your website on an individual scope. By emphasizing on user engagement and transcending their expectations with the right content pertaining your business, your customer base will become increasingly receptive to your organization and the services or products you have in your inventory. To have an efficient marketing campaign, your organization must always think outside the norm to provide cutting-edge marketing ideas to exclusive and attractive content for your target audience. Calculating future business trends by implementing the data and information collected, it will help you create critical business tactics and strategies that are unique to your customer base. With fresh, invigorating and innovative marketing channels to interact with your demographic, you must always never veer off your campaign’s primary objectives. To implement brand campaigning and a marketing campaigns with favorable outcome, it is important to grasp and harness the advantages provided by both offline and online tactics. While a lot of businesses consider the mediums of marketing as separate from one another in form, with cohesive coordination your target audience will view your efforts as a single part of your brand. With a singular brand and marketing campaign, one that envelopers all your marketing tactics, you will be drastically increasing your online visibility, making it easier for your target audience to come to you, providing them with different options to engage with your business. Complementing both offline and online brand marketing strategies in a digital campaign, it is important to make sure that your tactics do not in any way overlap – continuously repeating the same email messages and advertisements over and over again. You have to stay away from repetition and irrelevance. Your online customer base will not interact with your e-Commerce website via a single social media or marketing platform. Your target audience demographic will instead choose a multitude of marketing channels, each coming in from a different conversion funnel, which will also make it clear where a majority of your customers are coming from to engage with your business. 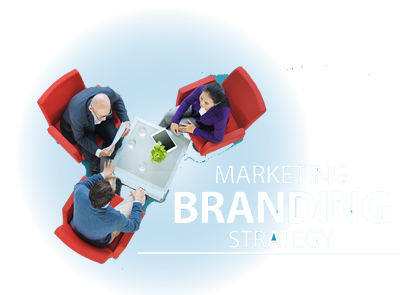 However, without brand campaigning if you decide to just develop a single brand marketing strategy, you will only be able to target customers on that one platform while neglecting other potential audiences. At OCCO, our business consultancy programs can help you expand your digital marketing footprint across different traditional as well as niche channels, expanding your customer base and increasing your bottom line.